I've read many books that present models for male/female relationships. Deida's model blows all others out of the water (in my humble opinion). He talks about masculine and feminine energy, and how each of us embodies both energies to varying degrees. 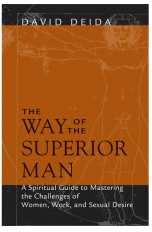 This book helped me as a man understand how to embrace my masculine energy and appreciate (and enter into) the mysteries of feminine energy. We often accommodate our partners in long-term relationships. We think that if we hold out long enough, things will change. Real calls this the "collusion of silence." He believes conventional therapy has done us a disservice, and that the only way to lasting change is if we align ourselves with our truth, regardless of our fear about the potential negative ramifications. I believe this book should be required reading for all couples preparing for marriage, who are currently married, and who are going through a divorce. In short: all couples. 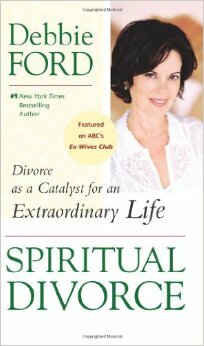 Ford helped me see that a relationship is a 50/50 dance, and that nothing good will come out of playing the victim. Difficulties in relationships become the fertile soil through which incredible growth and transformation can come when you take responsibility. 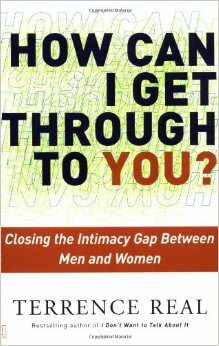 Perel helps make sense of the stark realities of many men and women in long-term, committed relationships. Her premise is that marriage today is being asked to do much more than ever before in history. She also posits that the conditions for intimacy can neutralize eroticism and vice versa. Her TED talk explains this further. Her book contains case studies that offer encouragement, validation, and ideas for how to move past the blockages in a relationship.